Elite doctors chase a mysterious death and attempts to solve the mystery related to rare diseases. 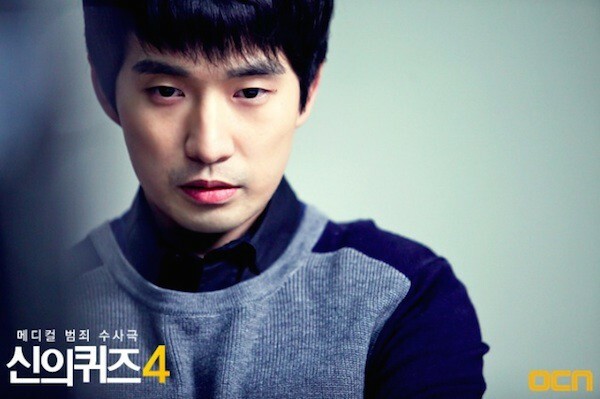 "Quiz from God 4" takes over the OCN Sundays 23:00 time slot previously occupied by "Cheo Yong” and followed by "Reset" on August 24, 2014.
bigfan123 May 24 2016 9:13 am I watched God's Quiz since season 1 and I loved the series up until season 4.. I was so disappointed in the casting. 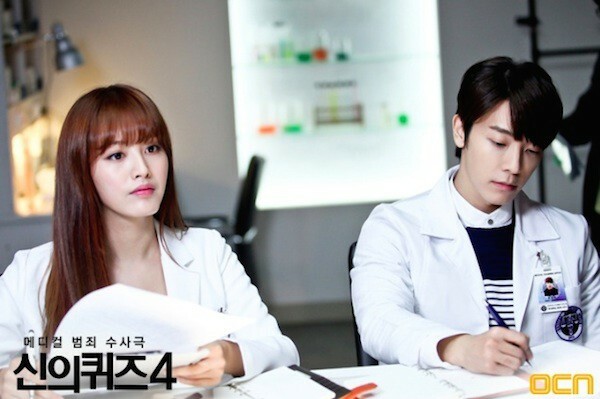 I don't think that DongHae and JaeKyung should have been in this drama at all. And I really miss Det.Kang in season 4!! Hope there's another season, but hopefully with better casts! Yamone Feb 23 2016 9:41 am I really love God's Quiz Drama Series. I'm huge fan of God's Quiz Series. I really miss Det.Kang and Dr.Han and all artists from Drama. So Great Drama. Please Season 5. Please. Thank You. B891212 Oct 17 2015 12:04 pm Waahhh... Season 4 there is Det., kang again? For real??? Asssaa. I like her a lot bcoz her swagg style. She was just like cool girl i like her style kekeke. She is one of the main chara rite? Just like the first n 2nd seasin? Daniel Aug 13 2015 3:13 am The case is so freaking boring other than the first 2 episode which is still acceptable the rest of them is utter crap. Episode 3 to the last episode is boring and its a pain to watch I literally jogged toward the end (its freaking 1 hour per episode unlike season 1 and 2 of about 45 minutes). 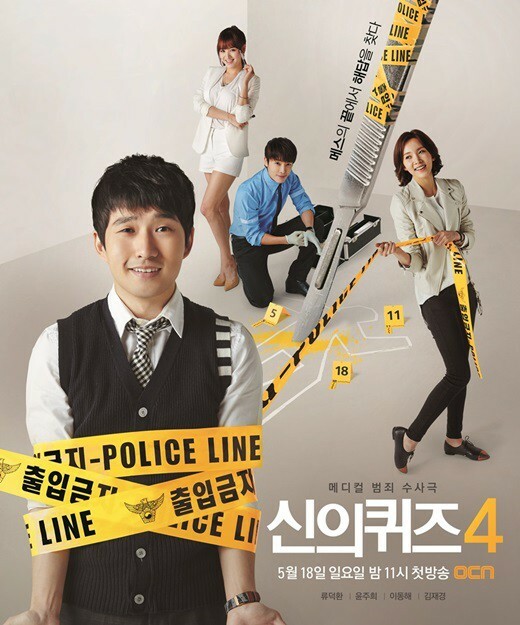 I had watch all season so far season 3 is the best of all for many reason - the new detective and Han Jin Woo is cute like them teasing each other, the case of each episode have twist and turn you never able to guess the real suspect until the last 10 minute or so. Hyerin Sep 21 2014 8:14 am Uhm.... is ep12 the last ep for this season? I mean season 4...?? Bearie Jul 27 2014 3:37 pm @shakira the guy's name is im yoon ho. he was 7th grade civil servant. and i agree. TOTALLY HOT. AnimeRockz Jul 17 2014 9:25 pm i watched the first, second, and third season, i love all of them but im mostly in love with season 3 and its the best one yet, currently watching the fourth season. cocooa Jun 05 2014 9:51 am What I like about this series is that, they have great quotes at the end of every episode... well, aside from learning medical terms, that is. :))) I'm really a fan of mystery/crime dramas/movies, adding up with learning about rare disease, this series is seriously awesome. Thumbs up for the PDs and writers! Jue Nae Da Jun 03 2014 2:55 am Hello! 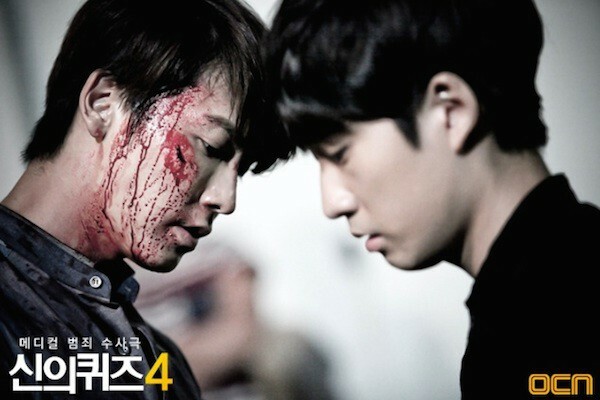 I very like this drama...:) because very interesting and mystery~ fighting Han Jin Woo!!! shakira Jun 01 2014 10:05 am So so so soo love all of God's Quiz and Deok Hwan is adorable. I know he's a grown man but he's just so loveable!! I couldn't stop laugh in episode 2 when he asked detective Kang who cleaned him and what did she see!!!! Hahahaha!!! It's such a natural curiosity and real conversation! !! Just love it!!! But I MUST know....WHO PLAYED KYUNG HAN IN EPISODE 2?!!! WHOA!!! HE WAS SO HOT I WATCHED HIS SCENES TWICE!!! Sharon May 23 2014 7:19 am OMG I tought when he collapsed at the end of 3 he was dead so glad he's not I love this show and the Dr. Han character. MissK May 23 2014 1:08 am To those of you who have been wondering on whether you should watch the previous season of God's Quiz or not, then my answer is ABSOLUTELY YES! Even though you may be able to get the grasp on what actually happened in the past without even watching the previous seasons, but it will make a whole lot of different. Believe me, it's worth it. I started watching season 1 of God's Quiz a few weeks before and I'm totally hooked with the series. The plot, the storyline, the quirky yet adorable character of Dr. Han and the sweet relationship between Dr. Han and Detective Kang made my day! Give the first season a try, and for sure you will want to continue watching the rest of the other seasons as well. Looking forward for God's Quiz Season 4! And I'm absolutely happy to see Detective Kang back on the show. sara May 18 2014 2:07 pm Donghae FIGHTING !!!!!!! Mona. S May 17 2014 6:24 am I'm soooo excited!! I LOOOOVVVEEE GOD'S QUIZ!! To all of you along if you have to watch the previous seasons to understand this one. My answer to that is yupp yuo probably should. But it's not that required of y'all because it's kinda like How I Met Your Mother. You can jump in at a episode anytime but you have to at least know who the characters are and the story behind it. If you do then you can jump in anytime. But believe me you won't be wasting your time if you watch the previous seasons! These are one of my favourite Korean series and I'm pretty sure everyone into mystery, murder solving detectives and a hot funny doctor will LOVE this. But if you're more into dramas like The Heirs, Boys over Flowers. You know those comedy, romance drama then I don't think that this will be for you. But give it a try! L May 07 2014 4:32 am do I have to watch from season 1 to season 3 to know the story of season 4?? ina May 06 2014 2:46 am gosh, can't believe it's finally here. RDH is amazing in it. zhia_aala May 03 2014 7:08 am miss RDH sooooo much........so excited GQ coming back with new season.......more excited and interesting case and also romance between Jinwoo and Kyeong Hee !!!! aznative Apr 29 2014 7:27 pm Great teaser! Lena Apr 29 2014 3:39 pm Dang RDH is so damn adorable cute!! I'm so excited!! Loved the teasers! Rizuqee Apr 03 2014 9:30 pm I thought it ended on season 3. I saw Han Jiwoo passed out then kkeut !! 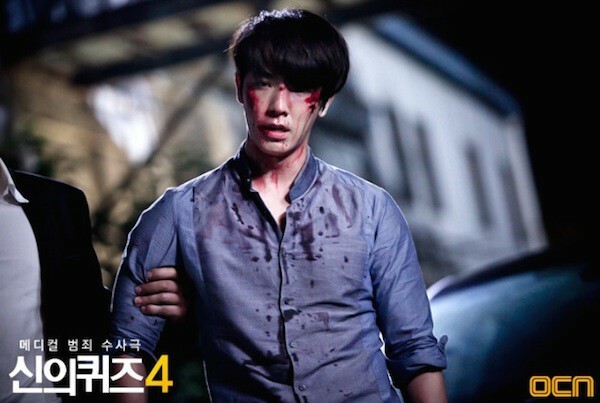 and Donghae casts as Han shiwoo? Who is it? Jiwoo's dongsaeng??? I cant wait, I want to watch....!!! HANA Mar 26 2014 10:15 pm DAMMMMMM... Finally...it's here...love this drama and love Kyeong Hee with Dr. Han and she is back..hopefully...it will be more interesting and challenging than the first to third season and i really want to see love sparks between DR. Han and Detective Kyeong Hee. HJK Mar 23 2014 12:16 am Omg could Han Shi-Woo be Han Jin-Woo's brother?? So excited for season 4!! ashley Mar 20 2014 4:39 pm about time there is news from season 4. then ending of season 3 was such a cliff hanger. vicki Mar 15 2014 6:12 pm omg yess! I love God's Quiz & she's back! I wasn't really expecting a new season I'm so happy. It makes me want to watch it all over from the beginning again. Lena Mar 13 2014 9:06 pm Yay!!!!!! I'm so excited!!!!! The freaken best news!!! Love them both!!! She's back to help her lover to solve crimes!!! I can't wait!!!! jhaz Mar 13 2014 8:56 am Yes!! !this is what I've been waiting for! !